Hartman, S., & Hines-Bergmeier, J. (2015). Building Connections: Strategies to address rurality and accessibility challenges. J. Museum Ed., 40, (3), 288-303. At OVMoD we believe that playful, hands-on learning with family and friends builds confidence and resiliency for success as 21st century citizens. This learning is unique for each individual and occurs life-long with a richness that is life-wide and life-deep. For these reasons, OVMoD was founded with a mission to inspire visitors of all ages to explore and discover the world through interactive exhibits and creative experiences. 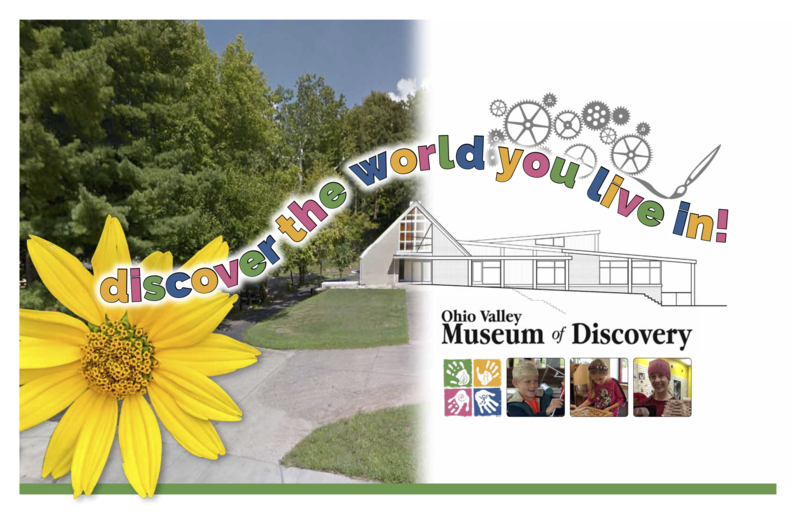 Through interactive exhibits and hands-on activities at OVMoD we strive to make learning fun. Our events and exhibits are layered so that visitors of all ages will find activities and experiences that appeal to them. We combine aspects of the sciences, arts, and humanities into our exhibits and programming so visitors can explore and discover connections throughout their world. OVMoD is committed to providing hands-on exhibits, frequent live programming, and activities to complement and supplement state-based education standards. In this way, we strive to be a unique educational resource for parents, teachers and other educational organizations in Athens, Southeastern Ohio and the surrounding Appalachian region.